stitched together tightly with love." 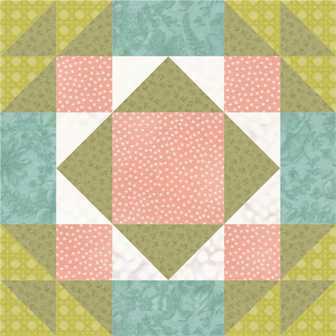 Tell us YOUR quilting story! Please email your favorite recipes to Amy to include in a guild recipe book! Quick meals, crockpot dishes, soups, favorite snacks, etc. into the drawing. The winner will be presented with a gift certificate at the guild's December meeting. 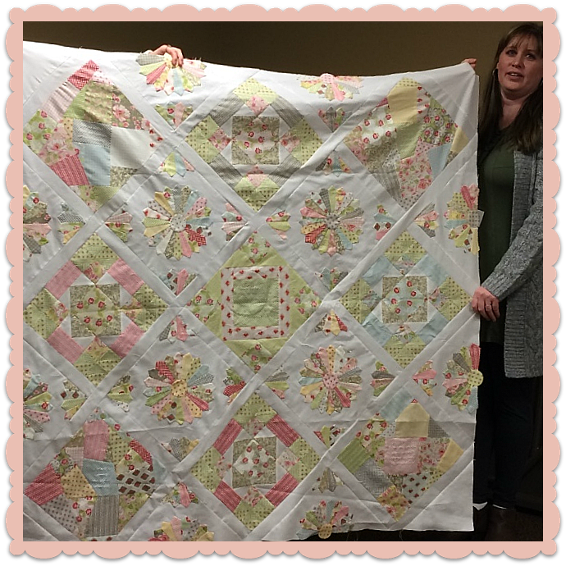 For the Utah Quilt Guild's 40th Birthday Celebration, “Ruby Jubilee”! 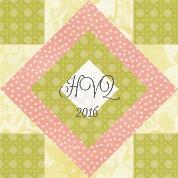 The quilt guild will work together on a guild quilt. Tricia will head up the project. 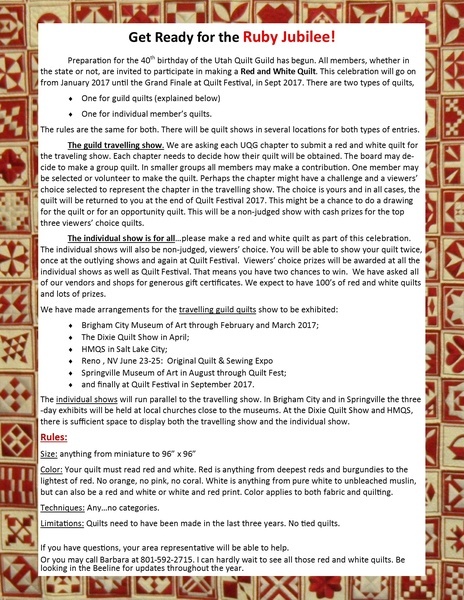 In addition, you can enter a red and white quilt as an individual member. to be used for solicitation, sales or political purpose.